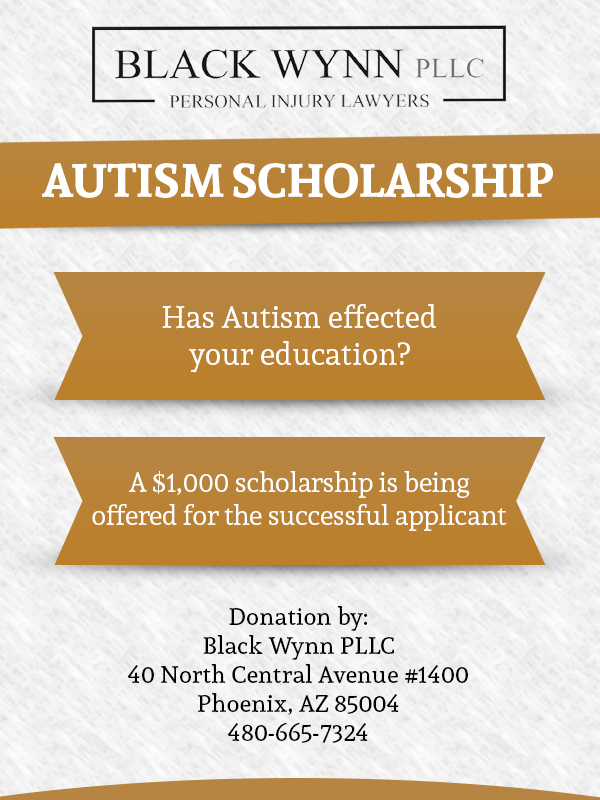 Black Wynn is pleased to announce that it will be offering a $1,000 educational scholarship for individuals with Autism, also referred to as Autism Spectrum Disorder (ASD). The scholarship funds will be used toward tuition at the educational institution chosen by the successful applicant. ASD is a developmental disability that can result in behavioral, communication and social challenges. It affects 1 in every 68 children in the United States. ASD spans socioeconomic, ethnic and racial groups. At the same time, many of the children identified with ASD have average or above average intellectual abilities. For students with autism, continuing their education can present serious challenges. Because ASD can cause issues in areas such as verbal and nonverbal communication, social interaction, and sensory processing, it can lead to significant difficulties in the classroom. The Black Wynn autism scholarship is intended to provide help in furthering the applicant’s educational goals. The scholarship will be in the form of a direct tuition payment to the educational institution chosen by the winning applicant. This could be a university, college, junior college, trade school or vocational school. You need not be enrolled in school at the time you submit your application, but the funds must be used within one year after the date of the award. You must be a United States citizen who has been diagnosed with ASD (DSM-V) to be eligible for the scholarship. Upload a statement of not more than 100 words describing your educational goals. (Optional) Upload a statement of not more than 650 words telling us how autism has impacted your education. We may also request evidence that you have been diagnosed with ASD. The selection of the winner will be at the sole discretion of Black Wynn Personal Injury Lawyers. The announcement of and notification to the winner will take place not later than March 15, 2018. The information and material you provide to us becomes the property of Black Wynn. The firm will not sell your information to third parties, nor will we disseminate it except to publicize our scholarship program or to report on it.